Sri Kanchi Kamakoti Peetam has been perpetuating Advaita Philosophy and community service all over Bharat. 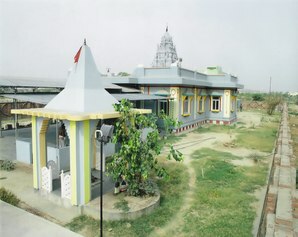 In response to persistent appeal from devotees in Noida, Srimatam has established Sri Adi Sankaracharya Mandir at A-52, Noida Dadri Road, Opp. HP Petrol Pump, Near Green Valley Chowk, Sector - 42, NOIDA - 201304 in UTTAR PRADESH. 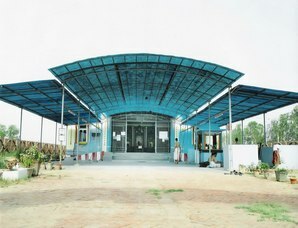 Samprokshanam (Temple consecration) was performed in February 2007. 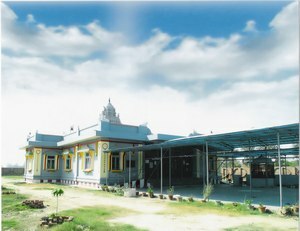 The temple has Sri Chandramouleeswara as the presiding deity. 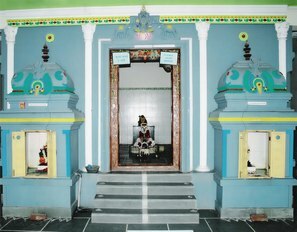 Sri Sundara Ganapathy and Bhakta Anjaneyar are also installed in the precints. In January 2008, Navagraha Pratishta was performed. While traditional puja is offered to the deities, a separate Shiva Linga has also been installed to enable people to offer puja directly, in keeping with the local tradition. - Pilgrims to holy places via Delhi can use the place for a short stay.